Note: This review was created when the 2015 Alfa Romeo 4C was new. 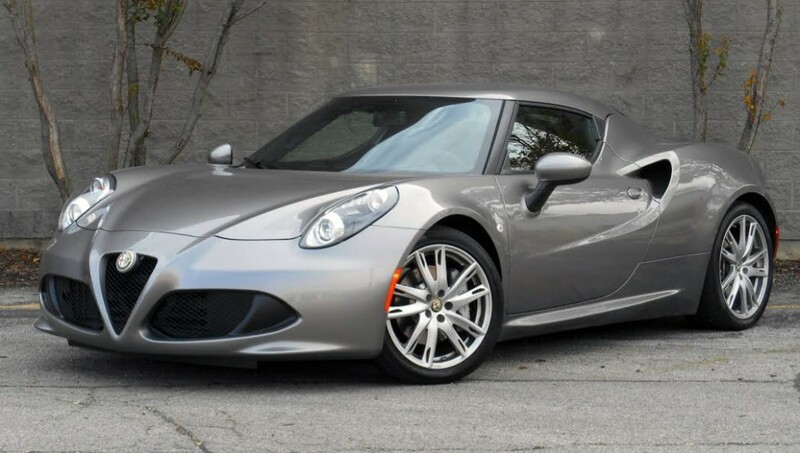 The 2015 Alfa Romeo 4C is quick, with sharper handling than most of the cars it’s up against, but its cheap, feature-stripped, and impractical interior keeps it from rising above the middle of our luxury sports car rankings. 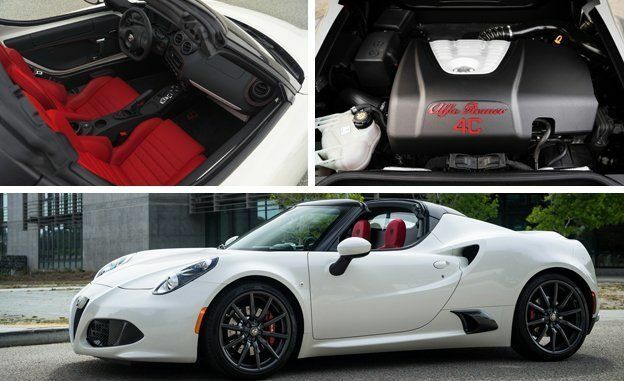 Is the 2015 Alfa Romeo 4C a Good Used Car? 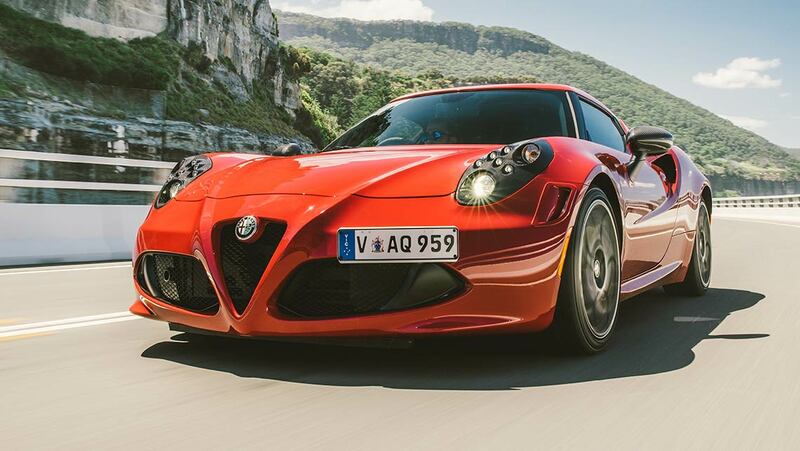 To drive an Alfa Romeo 4C is to be directly connected to the road, for better or worse. Those who want a purist experience – without all the fancy technology of today’s cars – get just that with the 4C. However, this car doesn’t even have power steering, which turns low-speed parking maneuvers into a substitute for arm day at the gym. What’s more, if you’re expecting a high-class cabin, room for your stuff, or a long list of features, you will be disappointed. 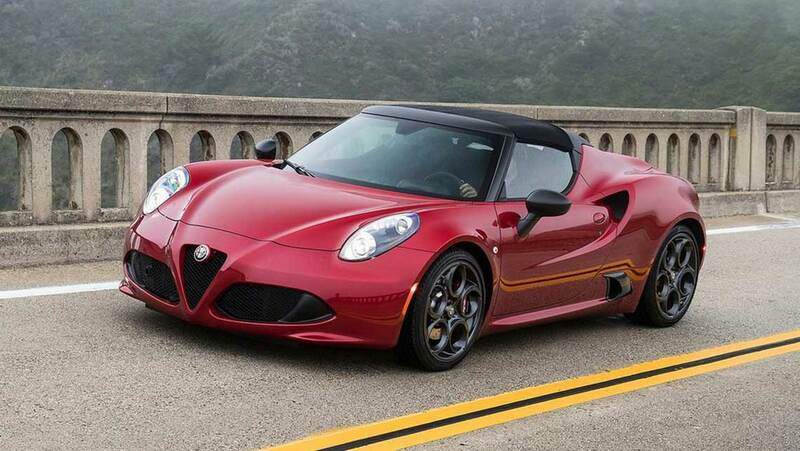 Mechanically, the Alfa Romeo 4C only comes one way, with a six-speed dual-clutch automatic transmission and a turbocharged 1.7-liter four-cylinder engine that produces 237 horsepower and 258 pound-feet of torque. Don’t let the 4C’s small midmounted engine and lack of manual transmission fool you; this is one fast car. It dashes from zero to 60 mph in 4.5 seconds and has a top speed of 160 mph. The 4C returns 24 mpg in the city and 34 mpg on the highway, which is excellent for the class. While many luxury sports cars offer loads of electronic enhancements, the 4C takes a back-to-basics approach. For example, it doesn’t have power steering, which is great for road response but not so great when you have to turn at low speeds. You’ll likely forget about this annoyance once you experience the 4C’s stuck-to-the-road handling as you slice through turns like a hot knife through butter. When it’s time to slow things down, the standard Brembo brakes give the 4C admirable stopping power. The 4C’s ride is very responsive, which may come across as uncomfortable to some. The 4C’s excellent performance sharply contrasts with its lackluster interior. There’s almost no semblance of luxury, with cheap plastic and tons of engine noise invading the cabin. Although the seats have good head- and legroom, their position is too upright for some. Also, the Alfa’s bucket seats – which come with either cloth or leather upholstery – are bolted directly to the frame. Love them or hate them, they give you plenty of road feel at the expense of long-ride comfort. Getting in and out of the 4C is another potential pitfall for some, as it requires a decent amount of flexibility. Behind the engine, the 4C’s 3.7-cubic-foot compartment is tiny compared to what most of its rivals offer. Features are scarce in the 4C. Standard equipment includes a four-speaker audio system with Bluetooth, a USB port, and an auxiliary input. The only notable upgrades are cruise control and an upgraded sound system. Both the standard and available audio systems have poor sound quality and an interface that’s less than straightforward. However, the 4C’s vibrant 7-inch digital instrument panel and racing-inspired toggle dash switches are clear and easy to use. 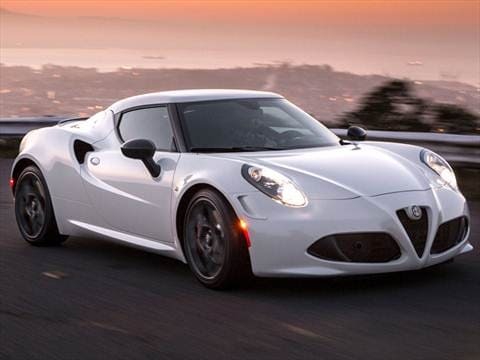 Pricing information for the 2015 Alfa Romeo 4C is not available at this time. How Reliable Is the 2015 Alfa Romeo 4C? The Alfa Romeo 4C is the only 2015 luxury sports car that does not have a predicted reliability rating from J.D. Power and Associates. How Safe Is the 4C? Like many pricey luxury cars, the Alfa Romeo 4C was not crash tested by Insurance Institute for Highway Safety or the National Highway Traffic Safety Administration. The 4C comes standard with electronic brake force distribution and hill-start assist. Rear parking sensors are available, but a rearview camera is not. Nor are there available driver assistance features such as blind spot monitoring or adaptive cruise control. Should I Consider Another Used 4C? 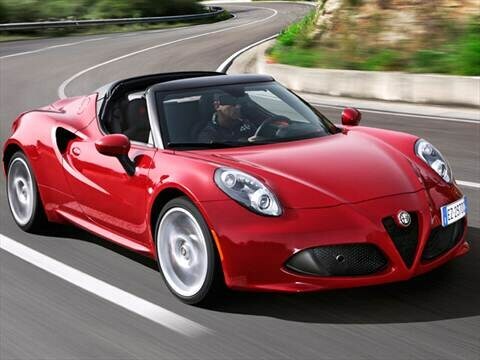 Alfa Romeo introduced the 4C coupe for the 2015 model year, and there have been few changes over the years. For 2016, the 4C got a new and improved standard sound system, and the convertible Alfa Romeo 4C Spider model joined the lineup. For 2017, the 4C Spider is an order-only model, making it a rare find. If you’re more interested in the coupe, stick with a 2015 4C, which has a lower price. 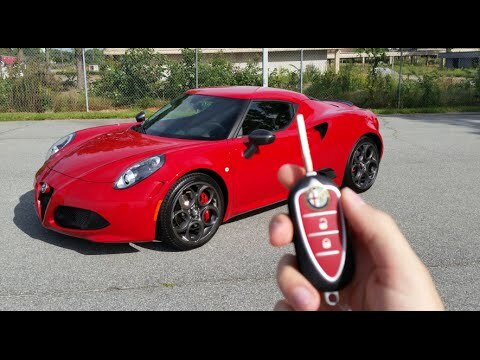 Which Used Alfa Romeo 4C Is Right for Me? 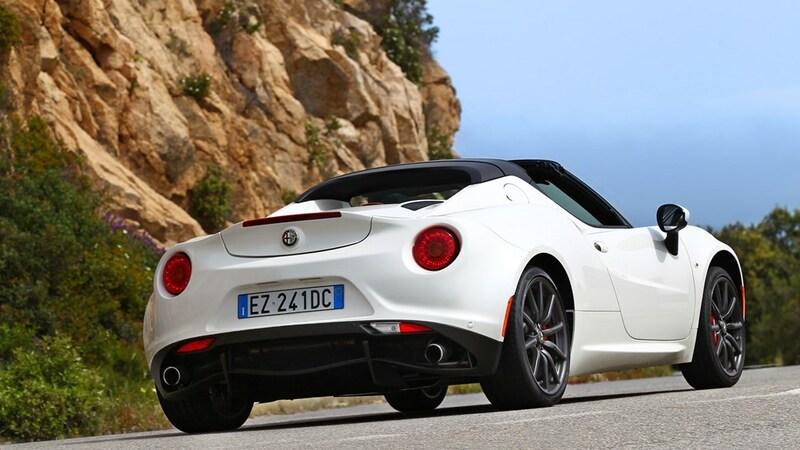 The 2015 Alfa Romeo 4C comes in two trims: the 4C (base) and the Launch Edition. If you can find a 4C Launch Edition, go for it. Exclusive to the 2015 model year, it features a sport-tuned dual-exhaust system, a performance-tuned suspension, black leather sport seats with microfiber inserts, a carbon-fiber deck lid spoiler, and bi-xenon headlights. If you can’t find a Launch Edition trim, don’t worry. Some of these features were offered in the base trim. Be sure to get a model with rear parking sensors, as the 4C has terrible rearward visibility.